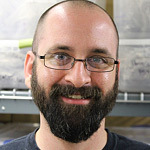 Aaron is a second year Museum Studies graduate student at the University of Florida. He holds a B.S. in Anthropology (with honors) and a B.A. in Art History from Virginia Commonwealth University. Aaron has experience in exhibitions, collection management, 3-D scanning and printing, and archaeology. His research interests include collaborative museology, tribal museums, heritage tourism, and historical trauma and unresolved grief. He is currently writing a history of the Ah-Tah-Thi-Ki Seminole Indian Museum, located on the Big Cypress reservation in South Florida. After completing his M.A., Aaron plans to pursue a Ph.D. in Anthropology. Jennifer holds an M.A. degree from Southern Illinois University at Carbondale. 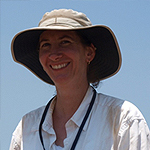 She is currently pursuing a doctoral degree specializing in Paleoethnobotany at Penn State. 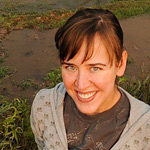 Jennifer’s research interests focus on the maintenance of anthropogenic environments associated with subsistence economies, plant domestication, resource choices, and issues of sustainability. For her dissertation research, she is analyzing charred wood remains collected from the Pineland Site Complex in order to examine choices of fuel-wood use, including changes through time, extraction impacts, and sustainability. Nathan holds a B.A. in Anthropology (with Honors) and M.A. in Anthropology from the University of Central Florida. His previous research has primarily focused on indigenous patterns of warfare, particularly among the Seminoles and other Muskhogean-speaking cultural groups. Nathan is currently pursuing a doctoral degree in Anthropology at the University of Florida. His current research is focused on the Blueberry Site, a multicomponent Belle Glade village site in Highlands County. He is interested in the dynamics of regional interactions and how these interactions, along with the everyday behavioral practices of past actors, helped to shape the anthropogenic world of South Florida. Katie holds an B.A. in Anthropology from the University of Montana and is currently pursuing a M.A degree in Museum studies at the University of Florida. Her focus is in collection management specializing in textiles. Most recently, she has been working with the Seminole Doll collection at the Florida Museum of Natural History. Previously Katie worked for the National Park Service and the United States Forest Service. 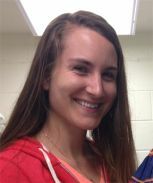 Allysha is an Anthropology doctoral student at UF, where her Ph.D. research focuses on the interaction between age and activity on the skeletal degeneration of the hip joint. A Graduate Analyst at UF’s C.A. Pound Human Identification Laboratory (CAPHIL), she has also worked as a Forensic Anthropologist at the Joint POW/MIA Accounting Command Central Identification Laboratory (JPAC-CIL) in Hawaii. She is currently conducting research at the FLMNH on the bioarchaeology of southwest Florida and the burial practices of the Calusa and other maritime peoples. Allysha holds a B.A. in Archaeological Studies from Yale and an M.A. in Anthropology from NYU.